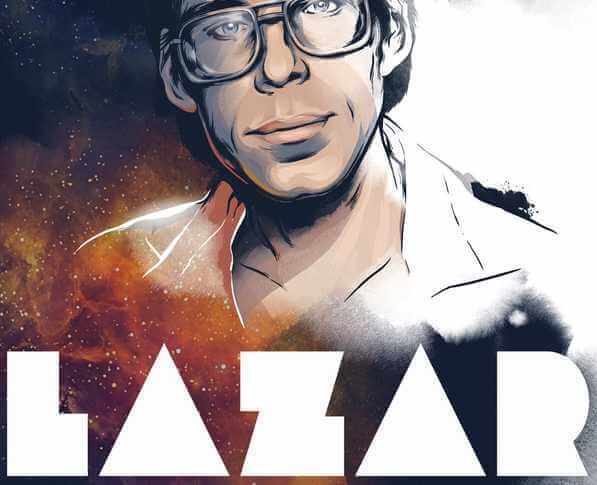 LAZAR: COSMIC WHISTLEBLOWER from JEREMY KENYON LOCKYER CORBELL on Vimeo. Lazar first began leaking information to the media about his alleged job back engineering alien spacecraft in the late 1980s. He says he worked at an underground lab called S-4 that is south of the main Area 51 base. At first he appeared in interviews with investigative journalist George Knapp on KLAS News, the Las Vegas CBS affiliate, under a pseudonym with his face in the shadows. Eventually, he allowed himself to be filmed in the light and shared his real identity. Meanwhile, his story, and the Area 51 base itself, became famous. Making the mystery even more compelling was the fact that, at the time, Area 51’s very existence was denied by the US government. Even though KLAS and other Las Vegas news agencies had been investigating the base for years. All of this fueled the legends and the notoriety of Area 51, making it all at once the most secretive as well as one of the most famous US government installations. Lazar claims that he was fired for sharing information about his top secret job, and his records of his employment of working as a scientist, as well as his education records were erased. Nellis Air Force Base, who administers Area 51, as well as Los Alamos National Laboratories, another place Lazar claimed to have worked as a scientist, both denied Lazar worked for them. Researchers also could not find any records supporting Lazar’s claims of having received degrees at Caltech and MIT. They could not even find anyone who claimed to have remembered going to school with Lazar. This was one of the topics of discussion Sunday night on the wildly popular Coast to Coast AM syndicated paranormal radio show. Knapp hosted the show, and the guest was Jeremy Corbell, a documentary filmmaker with several films in the works, one of them about Lazar. Although Knapp is certain Lazar worked as a scientist at Los Alamos, many remains skeptical. The phone book he mentioned does not list the capacity in which Lazar worked at Los Alamos, and newspapers are easily fooled. That, along with the fact those none of his coworkers have come forward publicly to support Lazar’s claims, has made many doubt he is a scientist at all. However, using some innovative research techniques, Corbell was able to find a witness willing to go on the record. Corbell says in researching Lazar’s claims he used a “bot” – software that can run automated tasks over the internet – to search Facebook for keywords. His bot found him a comment in a Facebook group from a man who said his neighbor claimed to have worked with Lazar. Corbell shared some sound clips of an interview with Krangle. Krangle says that he worked on and off as a contractor for Los Alamos throughout the 80s, and still does occasionally. “I was doing design project this, or an ancillary engineering. Their engineers have been beating a problem, and sometimes they get to close to a problem, so they can’t see the forest for the trees, so they bring in people like me as an outside contact to see what’s going on,” explained Krangle. Krangle says he graduated from MIT in 1973 with a degree in semi-conductor physics. Corbell says he has found an article that listed Krangle’s credentials. Krangle also showed Corbell IDs showing he worked at other facilities doing high tech work, such as China Lake, Kirtland Air Force Base, Los Alamos, Sandia, and the Manzano weapons storage facility. Corbell asked Krangle directly if he knew Lazar to be working as a physicist at Los Alamos, to which Krangle says he was certain. “He was a physicist. Which, I am a physicist. We kind of recognize each other, you know it’s the classic pocket condom with all of the proper different colored pens, so he fit that mold. If nobody would have told me, one look, he is a physicist. You know, he is properly dressed in geekdom,” Krangle told Corbell. Krangle also says he understood why Lazar’s employers were so upset with him. Knapp asked Corbell why Krangle would be sharing this information if he knew he could also get in trouble. Corbell said that Krangle is “just one of those renegades.” He explained that Krangle no longer makes a living off of his Los Alamos contracts, so he isn’t worried about it. No doubt detractors of Lazar’s claims will be doing further research into Krangle’s background, but it could be that the question of whether Lazar is a scientist has finally been resolved. The question also remains, if Lazar really did work at Los Alamos, why are they hiding that information? The bizarre mystery of Area 51, S-4, and extraterrestrial technology continues. You can listen to Corbell on Coast to Coast AM with Knapp here.